MODERN NEW CONSTRUCTION! 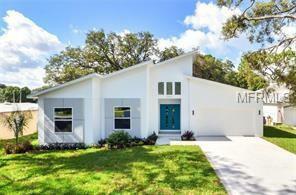 In coveted Carrollwood area. Italian inspired high gloss cabinets in Kitchen/Guest Bathrooms/Laundry Gorgeous matte wood grain finish on Master Bath vanity. Exquisite Marble counter tops throughout. KitchenAid Stainless Steel Appliance package (French door refrigerator, range, microwave & dishwasher), Kohler plumbing package. Gray tone, wire brushed, oil finish hardwood floors in main living area. 12 x 24 tiles in Bathrooms and Laundry. Photo of actual home. Home recently completed and ready for occupancy.